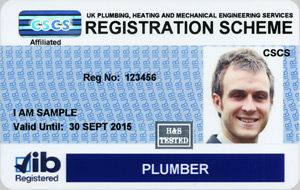 You can get your JIB card direct from JIB-PMES website as long as you have the correct qualifications and certificates. Or you can use affiliated services who will charge you an admin fee. You have to make sure you have passed the CITB HS&E test. One thing all JIB-PMES Cards have in common is the requirement that you take (and pass) one of the CITB Health, Safety & Environment Tests before applying. You can find what JIB card required qualifications below. JIB Card – How long does it take to get? It can take between 14 – 21 days to get your JIB card, depending on all documents submitted with application form. How long is JIB Card valid for? Different JIB-PMES Cards are valid for different lengths of time, but in general they are vaild for up to 5 years. If your original card was still valid, you will be issued a replacement card without any additional testing or certification. Renewing a JIB card is the same process as applying for one. The HS&E course will have to be taken again and any other course which are required for your JIB card. You can see the JIB card qualification requirements below. All content below has been taken from the JIB-PMES website in order for the information to be accurate and upto date. JIB-PMES. Issued to those who have achieved Level 2 NVQ/SVQ or Level 2 NVQ Diploma in Plumbing or an equivalent qualification (i.e. City and Guilds Craft Certificate). Note: Level 1 or VRQ 6129 or 6035 certificates are not acceptable. Issued to those who have achieved Level 2 NVQ/SVQ qualifications or an equivalent qualification in *Refrigeration & Air Conditioning, Marine Engineering, Installing Plant & Systems, Pipefitting. Issued to those who have achieved Level 2 NVQ/SVQ qualifications or an equivalent qualification in *Gas Installation & Maintenance; Domestic Natural Gas Installation & Maintenance; Central Heating & Water Heating; Gas Emergency Services Operations; Gas Maintenance; Gas Network Operation Service Paying (Mains); Gas Equipment Fault Diagnosis & Rectification. PLEASE NOTE: SOME CITY & GUILDS CERTIFICATES MAY NOT BE ACCEPTABLE. *This is not an extensive list – you may be eligible for this card if you hold similar qualifications. Please contact the JIB for clarification (you may be asked to send in your certificates for this purpose). Issued to those who have achieved Level 3 NVQ/SVQ or Level 3 NVQ Diploma in Plumbing or an equivalent qualification (i.e. City and Guilds Advanced Craft Certificate). Note: VRQ 6129 or 6035 certificates are not acceptable. Issued to those who have achieved Level 3 NVQ/SVQ or Level 3 NVQ Diploma or an equivalent qualification in Heating & Ventilating. Issued to those who have achieved Level 3 NVQ/SVQ qualifications or an equivalent qualification in *Refrigeration & Air Conditioning; Marine Engineering; Installing Plant & Systems; Pipefitting. Issued to those who have achieved Level 3 NVQ/SVQ qualifications or an equivalent qualification in *Gas Installation & Maintenance; Domestic Natural Gas Installation & Maintenance; Central Heating & Water Heating; Gas Emergency Services Operations; Gas Maintenance; Gas Network Operation Service Paying (Mains); Gas Equipment Fault Diagnosis & Rectification. PLEASE NOTE: SOME CITY & GUILDS CERTIFICATES MAY NOT BE ACCEPTABLE. *This is not an extensive list – you may be eligible for this card if you hold similar qualifications. Please contact the JIB for clarification (you may be asked to send in your certificates for this purpose). Issued to Plumbing Supervisors who hold suitable Level 3 or Level 4 NVQ/SVQ qualifications OR have equivalent site experience, and who can provide 2 endorsements from their employer/clients to support their application. Issued to those who have NOT achieved a gas related NVQ/SVQ qualification. Issued to those working in Plumbing Related Occupations who have not achieved plumbing related trade qualifications but have passed the CITB Operatives Health and Safety test or job related test. plumbing related occupations. Environmental Technology System (EVTS) Installation, Servicing and Maintenance: Heat Pumps (air source and ground source), Solar Thermal, Solar Photovoltaic, Rainwater/greywater recycling systems, etc. Issued to General Operatives/Labourers who pass the JIB-PMES/Operatives Health and Safety test and who can provide an endorsement from either a current or previous employer on their application form (section 14). Adult Trainees who have experience of similar work in other industrial sectors, which their employer believes suits them for training for employment in the plumbing sector and who are registered for an NVQ/SVQ or QCF aligned NVQ Diploma at Level 2 or 3 (but who have not yet achieved the qualification). Provide evidence of passing the JIB-PMES touch screen health and safety test or an approved one day safety course (please contact the JIB-PMES to ensure the course is approved). Students registered on 6129 (VRQ) courses who are not continuing to NVQ level are ineligible for CSCS cards. They can apply for JIB-PMES Student Registration cards Plumbing and Heating Fitter apprentices engaged through the JTL Managing Agency should contact JTL who issue registration cards for their apprentices. issued to Plumbing Managers who hold suitable NVQ/SVQ Level 4 qualifications OR have equivalent site experience, and who can provide 2 endorsements from their employer/clients to support their application.